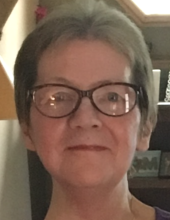 Janet L. Williams, 69, of Alexander, passed away peacefully on Friday February 1, 2019 at home after a long battle with cancer. She was born in Buffalo, on April 16, 1949 to Betty (Steffenhagen) Neidl of Pembroke Pines, FL and the late John L. Neidl. She is preceded in death by a sister; Judy Benden. Janet will be remembered by her children and those who loved her as someone who always put other people first before herself - many times even going out of her way for people she didn't even know. Seemed she made "friends" wherever she went. She had a smile and an energy that would light up any room, even more so when her favorite music was playing. For Janet, Music was good medicine. It brought her a great deal of joy and energy; especially her oldies but goodies. Janet's love for family was unmeasurable. Her goals in life were simple: to be a good wife, homemaker, and mother. She was happiest when she was with her children & grandchildren or just knowing her children were together and having fun and it always brought her a smile when she knew her grandchildren were doing well and having fun too. "Mom was the best caregiver any child could have", her son shares. She will be greatly missed for all of these things and more. Janet is survived by her husband; John H. Williams of Toledo, OH; beloved children Ronald X. (Harriet) Mayers Jr. of Elma; Denise M. (Todd) Webster of Alexander; Michael J. (Karen) Mayers of Fairport; siblings Joyce Colangelo of West Falls; Karen Neubecker of Pembroke Pines, FL; John (Kathy) Neidl of Cheektowaga; Betty Jane Gibbons of Davie, FL; Gail (Charles) Faidley of Sunrise, FL; 6 grandchildren, Savannah and Casey Czapla; Alan, James and Maria (Fiance Alex McVay) Riggi; Jessica Mayers; two great-grandchildren, Landon and Athena, along with many nieces and nephews. There will be no prior calling hours. A private Memorial Service will be held for immediate family followed by a Celebration of her life. In lieu of flowers memorials may be made to Genesee Cancer Assistance, 127 North Street, Batavia, NY 14020. For more information please call (585) 343-8260 or to leave a message of condolence please visit www.gilmartinfuneralhome.com. Arrangements completed by Gilmartin Funeral Home & Cremation Company, Inc. 329-333 West Main Street Batavia, NY 14020. To send flowers or a remembrance gift to the family of Janet L. Williams, please visit our Tribute Store. "Email Address" would like to share the life celebration of Janet L. Williams. Click on the "link" to go to share a favorite memory or leave a condolence message for the family.